Welcome to Pala Privileges rewards program. As a member of our loyalty program, you’ll have the opportunity to earn exclusive rewards and bonuses every time you play at PalaPoker.com, PalaCasino.com and PalaBingoUSA.com. Membership is automatic with no enrollment needed. 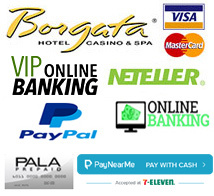 In Casino – Status Points are earned when you wager real money in games. In Bingo – Status Points are earned through ticket purchases.